There Are Many Different Causes For Dogs’ Upset Tummies. So Finding The Best Dog Food For Sensitive Stomach Issues In Your Own Dog Can Be Daunting. But Don’t Worry! We Are Here To Help. 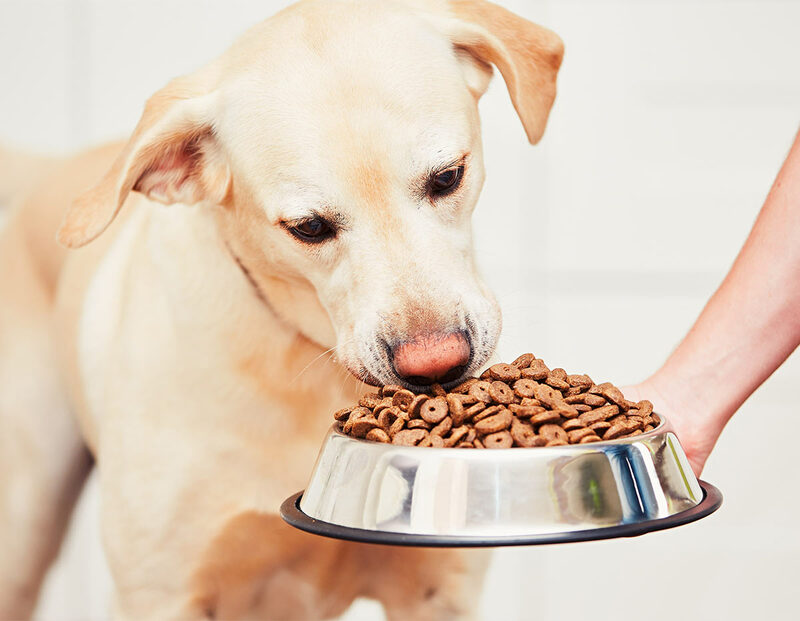 Welcome To Our Guide To Finding The Best Dog Food For Sensitive Stomach Problems. There is no “one” dog food diet that will equally meet the needs of every single dog that suffers from a sensitive stomach, skin issues or systemic distress. Luckily, there are nearly as many different dog food for sensitive stomach options as there are dogs. So with a little help, you can find the solution that is perfect for your pup. 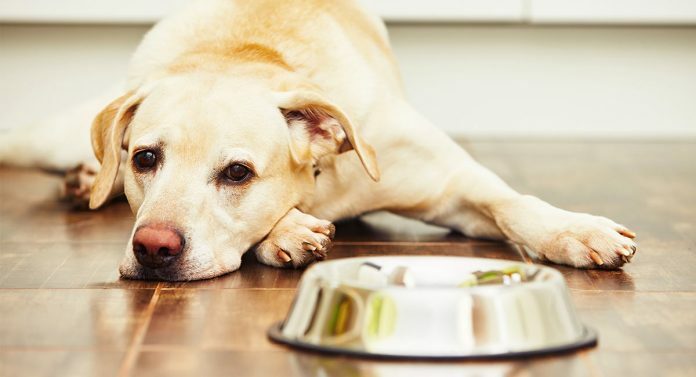 In this article, we tackle the topic of finding the best dog food for sensitive stomach and/or systemic sensitivities. Including some of the best choices for puppies, adult dogs and senior dogs. How do you know that your dog has a sensitive stomach? Are there certain signs or symptoms you can watch for? Here, the answer is a definitive YES. You should always chat to your vet concerning potential issues with your dog’s diet, but you will need to spot the signs first. One key to linking symptoms to your dog’s food is the timing of the symptoms. If the symptoms begin to arise within 24 hours after eating the food (and often much sooner), it is quite possible the food is the culprit. If you have observed signs or symptoms of potential systemic or digestive sensitivity in your dog, the next step is to figure out precisely what is triggering the allergy or intolerance. As the name suggests, this diet involves cutting out foods until the signs and symptoms disappear. Here, veterinarians typically advise cutting out foods that are known allergens first and working your way down the list from there. This will allow you to find the best dog food for sensitive stomach issues in your own pet, by only buying those which don’t include the trigger food or foods. So what happens when your dog eats something she can’t digest or is allergic to? Basically, she will start to show symptoms. The symptoms arise when her immune system mis-identifies a protein component in that food as an allergen and begins producing antibodies specifically created to counteract that protein/allergen. However, here it is very important for your dog’s health and safety to consult with your veterinarian before just assuming on your own that the symptoms arise from a food-related allergy! Once your vet has ruled out other possible causes, such as a virus, parasite, fungus, environmental toxin or allergen, serious disease of the intestine or bowel or something else, then you can decide how to best proceed with investigating a possible food-related source of your dog’s digestive distress. Do I really need sensitive stomach dog food? Truly, this is a question only your veterinarian can answer. For example, your vet can do blood work to test for various allergies. If an allergy is confirmed, switching your dog to a sensitive stomach dog food may be the easiest, fastest path to digestive comfort at mealtimes. As a later section here describes, you can also consider making your own sensitive stomach dog food at home, either from scratch or with the help of the excellent limited diet dog food pre-mixes mentioned here. If you are pressed for time, this can be an ideal solution. When you are able to confirm the cause of your dog’s sensitivity symptoms, this will then tell you which dog food recipes will be the best fit for your dog’s nutritional needs going forward. Finding the best dry dog food for sensitive stomach concerns often begins with a process of elimination. In other words, you can’t fix the problem if you don’t know what is causing it. These are three of the best dog food for sensitive stomach and diarrhea symptoms, starting with the least extreme elimination diet and ending with the most restrictive diet.